Facebook users will have received a post from “The Facebook Team” recently announcing its facial recognition capabilities, touting the technology’s ability to bring you “more features”. The social media juggernaut is also seeking US patents for other technologies which allow it to film you and gauge your reaction to posts, and for a feature that allows you to take a selfie and “emoji yourself”. While seemingly useful and fun on the surface, there are growing privacy concerns about these types of technologies. Facial recognition software, in particular, is being increasingly used by governments and corporations in various ways, some of which have those concerned about the increasing encroachment into the personal realm unhappy. Facebook has been using facial recognition capabilities (except in Canada and the EU) for some time. What’s new in its most recent announcement is the reminder of your ability to turn the feature off. The company’s facial recognition technology has been the subject of various lawsuits in recent years – most of which have taken place in America, specifically Illinois, which restricts a company’s ability to collect and store biometric data without consent. And legal experts in the US say the timing of Facebook’s “reminder” is interesting because it coincides with a legal ruling that Facebook will be subject to a class action lawsuit about its biometric gathering and storage program. The case revolves around a 2008 state law known as the Biometric Information Privacy Act, which makes it illegal to collect or use biometric data, such as a “scan of hand or face geometry”, without the rigorous disclosure of methods, intentions and guarantees. The class action suit, filed in 2015, alleges that Facebook has knowingly failed to make this disclosure for its Illinois users. Separate suits have been filed against Shutterfly, Snapchat and Google for breaches under the same act. The Shutterfly suit was settled, and Snapchat’s sent to arbitration. The Google case is ongoing, but the company argues that digital photos do not count as biometric data, nor it says can an Illinois law prevent a Californian company from performing such analysis. Facebook is vigorously fighting the suit against it, having already attempted for a dismissal pursuant to similar arguments. However, a judge has ruled the case will proceed and it could ultimately mean that Facebook will need to be more transparent about its collection methods and use of personal data. In the wake of its recent message to users, the company says the disclosure is simply coincidental and not related to the legal matter. The company’s software scans a photo that’s uploaded to a page in order to detect and label any faces in the picture. From there, it can create a user’s face print based on measurements of the person’s facial features, such as their nose bridge, eyelids and the width of their lips. 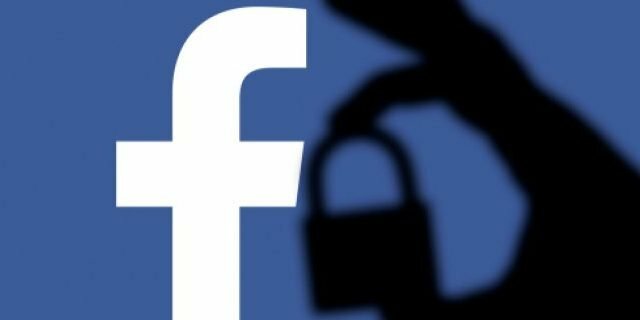 In a recent release, Facebook claimed the technology was a security feature which would start to notify users when a photo of them is uploaded even if they had not been “tagged” in the photo or are not connected as “friends” to the person who uploaded the photo. However, the snag in the system is that the uploader has to have their privacy settings set to public in order for the person to be notified. Facebook also said it will alert users if their face is included in a profile picture, as a way to protect users from strangers who may use their photo. If you’re not comfortable with Facebook’s new face recognition tools, you can turn it off. The simplest way is to click the “settings” button at the base of the announcement in your news feed – it will take you directly there. Another way is to do what Facebook CEO Mark Zuckerberg admits doing himself – put a piece of tape over your web camera. While Facebook says it isn’t opting everyone into its new feature, many users have been surprised to find theirs is already on.